Patient Manager Advanced is a quality Medical Billing Software for Medical Teams that includes Electronic Health Records (EHR), Electronic Medical Records (EMR), Patient Management and Medical Schedule capabilities. Other features: Patient Management optimized for multiuser and networked environments; Available in many languages including Spanish, German, French, Italian and Romanian.ntegrated Role Based Security. - Available in many languages including Spanish, German, French, Italian and Romanian. Fantastic password manager jam packed with powerful features and capabilities. 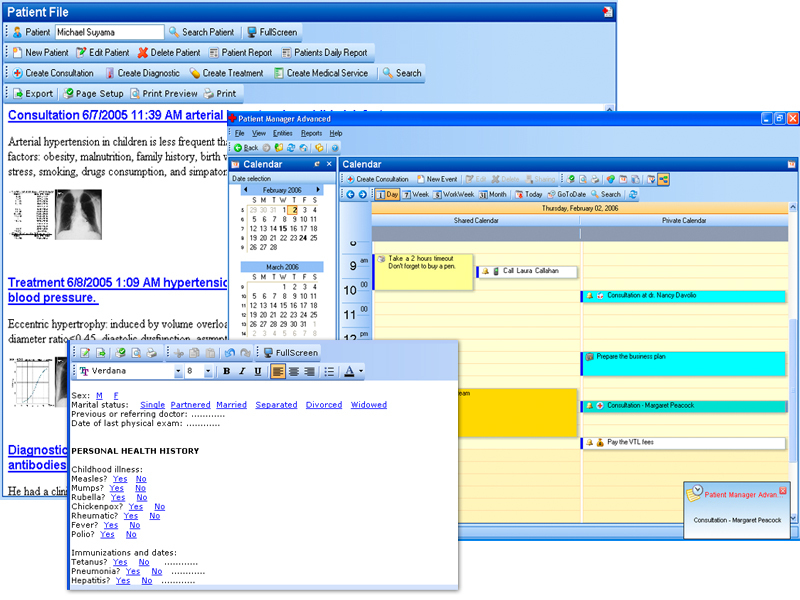 Fastest, most user-friendly software for scheduling and managing appointments. Run up to 100 OSs using this advanced multi boot manager. Create multiple partitions using this advanced partition manager. Qweas is providing links to Patient Manager Advanced 1.9 as a courtesy, and makes no representations regarding Patient Manager Advanced or any other applications or any information related thereto. Any questions, complaints or claims regarding this application Patient Manager Advanced 1.9 must be directed to the appropriate software vendor. You may click the publisher link of Patient Manager Advanced on the top of this page to get more details about the vendor.